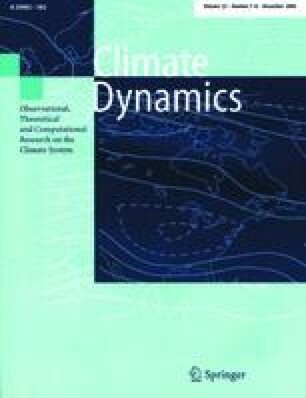 The long-term adjustment processes of atmosphere and ocean in response to gradually increased atmospheric CO2 concentration have been analysed in two 850-year integrations with a coupled atmosphere-ocean general circulation model (AOGCM). In these experiments the CO2 concentration has been increased to double and four times the initial concentration, respectively, and is kept fixed thereafter. Three characteristic time scales have been identified: a very fast response associated with processes dominated by the atmospheric adjustment, an intermediate time scale of a few decades connected with processes in the upper ocean, and adjustment processes with time scales of centuries and longer due to the inertia of the deep ocean. The latter in particular is responsible for a still ongoing adjustment of the atmosphere-ocean system at the end of the integrations after 850 years. After 60 years, at the time of CO2 doubling, the global mean near-surface air temperature rises by 1.4 K. In spite of the constant CO2 concentration during the following centuries the warming continues to 2.6 K after 850 years. The behaviour of the quadrupling run is similar: global mean near-surface air temperature increases by 3.8 K at the time of CO2 quadrupling and by 4.8 K at the end of the simulation. The thermohaline circulation undergoes remarkable changes. Temporarily, the North Atlantic overturning circulation weakens by up to 30% in the CO2 doubling experiment and up to 50% in the CO2 quadrupling experiment. After reaching the minimum the North Atlantic overturning slowly recovers in both experiments.